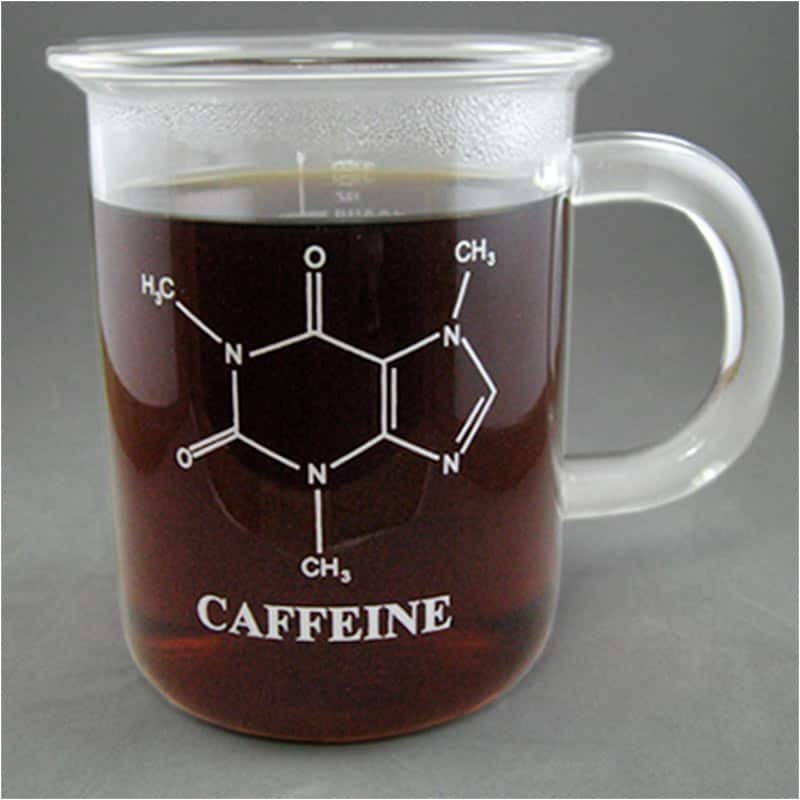 On one side of this novel beaker mug is a caffeine molecule, enameled in white. 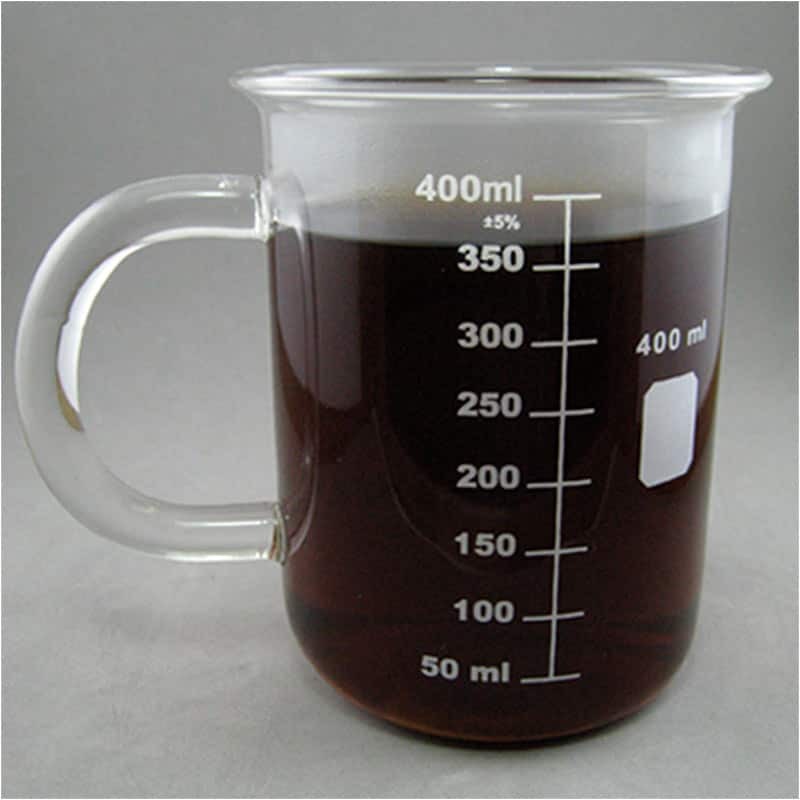 On the other side it has traditional beaker graduations up to 400mL. When coffee or any other dark colored drink is added, the molecular structure becomes very visible. Made of heat-resistant borosilicate glass. Borosilicate glassware is very durable and is microwave / dishwasher safe.